It’s hard to miss the brick behemoth on the corner of Goss Avenue and McHenry Street in Schnitzelburg. The three-story building sits ominously with many of its ancient windows blocked up and the others precariously missing glass panes. Once a bustling textile mill at the turn of the 20th century that made material for blue jeans and, later, mattresses, the facility most recently housed the Goss Avenue Antique Mall, a labyrinth of past treasures that closed last February. Now, renovation work has begun on the building’s next chapter, a massive mixed-use development that has the potential to solidify Germantown as one of Louisville’s premier urban neighborhoods. “This property is hard to miss—it’s a gorgeous historic building,” said Jeff Underhill, manager at Underhill Associates, which is redeveloping the site. “When you look at the old mill, it’s such a huge opportunity because it’s the largest property on the Historic Register in the city that hasn’t been renovated.” And at over 260,000 square feet—that’s nearly the size of the 23-story E.On U.S. Center downtown—on 8 acres, the block-long building—taller than the National City Tower if you stood it on end—is a major presence in Germantown. 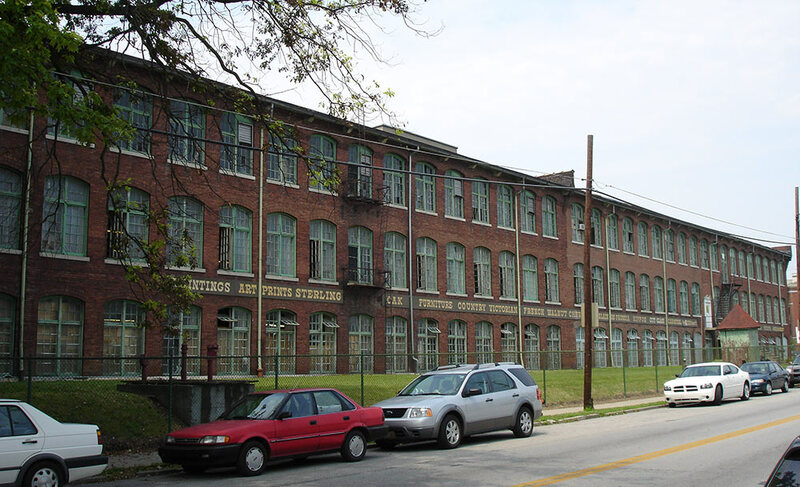 Underhill Associates (UA) is partnering with the building owners, John and Steve Booker, to redevelop the former mill, built in 1889 and designed by C.J. Clarke, into a mix of apartments and retail called the Germantown Mill Lofts. 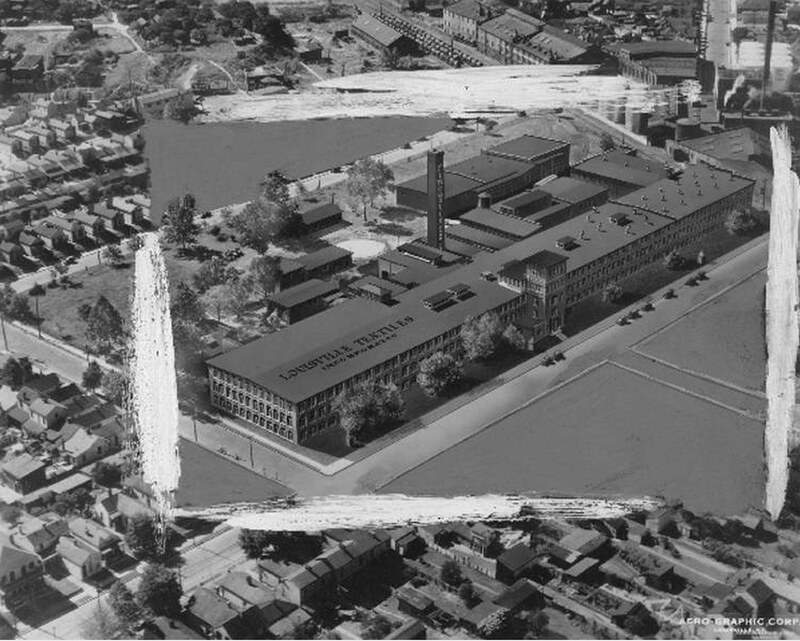 The Bookers contributed the building and UA put together the redevelopment plans, secured financing, and will manage the property. Atlanta-based Pimsler Hoss Architects is handling the project’s design. Plans call for 187 one- and two-bedroom residential units—183 apartments in the old mill building and four units in retrofitted train cabooses on the western side of the property adjacent to freight railroad tracks. “Rather than building a wall to screen the railroad tracks, we’re going to actually put in cabooses,” Underhill explained, noting that it could appear similar to what’s behind Papa John’s Cardinal Stadium. 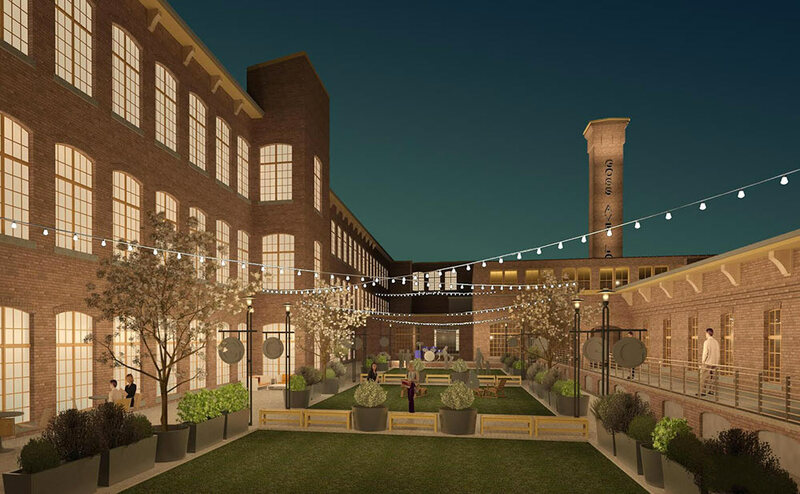 He said the cabooses “create an attractive screening effect but also creates new rental opportunities, whether they would be a small office or efficiency apartments.” A large pool and bocce ball courts will fill a courtyard within the complex. Units will range from $750 to $1,250 a month and will feature old architectural details with modern touches, including new kitchens, bathrooms, and exposed heating and air conditioning ducts. Underhill said he and his company are preservationists at heart. “We’re going into this project with an effort to respect what are beautiful bones in this old building—beautiful old wood floors, wood structural posts, big beams, oversized windows and high ceilings.” A 165-foot-tall chimney on the site will be repaired and will serve as a neighborhood landmark. The site will also house 17,000 square feet of commercial space, located in ancillary buildings around the back of the main mill building. Underhill described the desired retail tenants as “neighborhood commercial uses” such as a coffee roaster that could bring back small-scale manufacturing to the site as well as specialty cafes. He said one space that features rugged architectural details reminiscent of a Rathskeller would work well for a themed restaurant unique to Germantown. 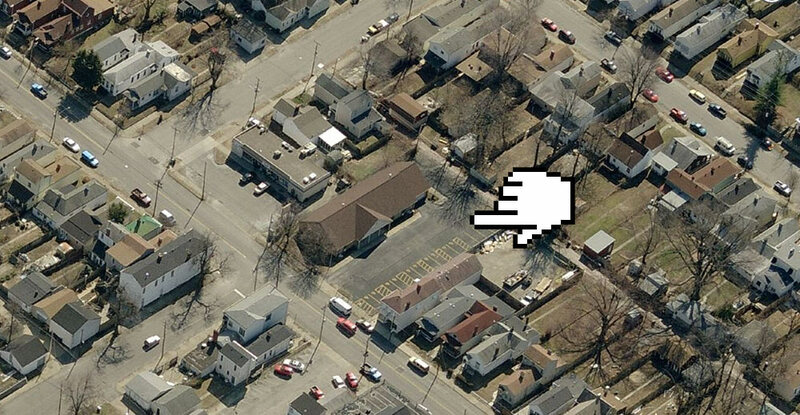 Another ancillary building will house a community room that can be used for neighborhood meetings and events. UA would also like to bring in a commercial gym to serve both the building tenants and the surrounding community. Eventually, a project website will be launched here. Underhill said Germantown is uniquely poised for a resurgence. The smaller scale of the shotgun homes in the area make it particularly accessible for those looking to rehab their own homes, giving it an advantage over other historic neighborhoods like Old Louisville with larger, elaborate mansions that can require significant work. He said this could accelerate the pace of the neighborhood’s rise. “Goss Avenue has been so sleepy and underperforming. I think a lot of the vacant or underperforming spaces along there will see some renaissance, much like what we saw on Frankfort Avenue 20 years ago,” Underhill said. “We hope that others are going to pick up some of the boarded up houses and some of the more deteriorated properties around us and be charged to put in more neighborhood businesses,” Underhill continued. “We think that will be the case. We’d certainly like to play a hand in attracting some new commercial users along that strip.” As Broken Sidewalk recently reported, a block away, one shotgun house on Goss Avenue is being transformed into The Post pizzeria and pub. Germantown’s central location was a key factor for UA to undertake the development. Underhill pointed to the close proximity of both the Audubon and Downtown medical districts and the University of Louisville and Bellarmine, hinting at the type of residents the building might attract. Still, Louisville’s reliance on automobiles slows progress on creating a multimodal city. Underhill said the reality on the ground in Louisville is that cars dominate how people get around and developers are going to respond to that. He noted that there isn’t even discussion by city leaders of mass transit like streetcars that served the neighborhood a century ago. “I think the city is beyond ready for it,” he said. But today, UA can’t tether its development plans to such uncertain long-range goals. “Even if it happens tomorrow, it would still take 5 or more years before anything even starts construction,” he said. At the Germantown Mill Lofts, plans call for providing more parking than the city-required 1.5 spaces per residential unit, a move that some could see as diminishing the Germantown Mill Lofts’ urban qualities. Still, he noted that as biking and walking become more popular in Louisville, it presents opportunities for more creative land uses. The landscaped parking lots are located behind the building along Ash Street. Underhill said his company doesn’t just believe Germantown is a good fit for its latest development, UA is moving its entire headquarters to Goss Avenue. Last week, the company closed on a building at 1030 Goss Avenue, the former home of the Kentucky / Indiana chapter of the Paralyzed Veterans of America, and will move from its current Lyndon location in November. Underhill Associates has been working in Louisville for over 40 years, spanning three generations. The company has previously renovated houses in Old Louisville, redeveloped the old Clark School in Crescent Hill into 35 condos, managed the downtown Kentucky Towers, and, more recently, redeveloped the failed Camelot strip mall into the lifestyle center Westport Village. UA is also expanding beyond Louisville, partnering with a group in New York City to convert a Manhattan apartment building into condos. An official groundbreaking for the project will take place on Tuesday, October 14 at noon. Brasch Constructors has already been on site working on renovations for the past couple weeks. Construction is expected to take about 18 months with the first residents moving in by the end of 2015. Historic photos courtesy National Register of Historic Places or UL Photographic Archives, as noted. Reference URLS one, two, three, four, five.